In the video, Clinton pats Biden on the arm, perhaps a cue for him to let her free, but he continued to hold her by the waist. 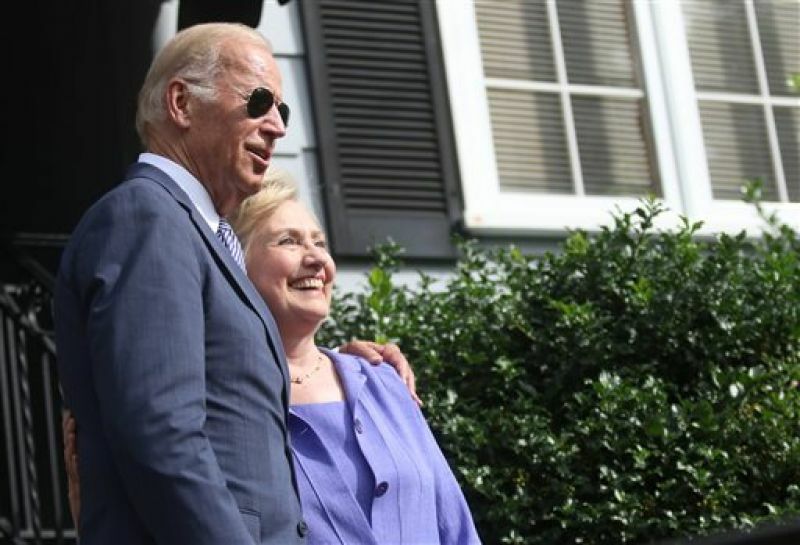 Scranton: When Democratic presidential nominee Hillary Clinton waited to greet Joe Biden in Scranton, which is his childhood home, she was perhaps not prepared for the extra warm welcome that awaited her. The vice-president of America, locked the possible future president in a long and awkward embrace, while she laughed and tried to wriggle free from his hold. The video of the two leaders has gone viral. 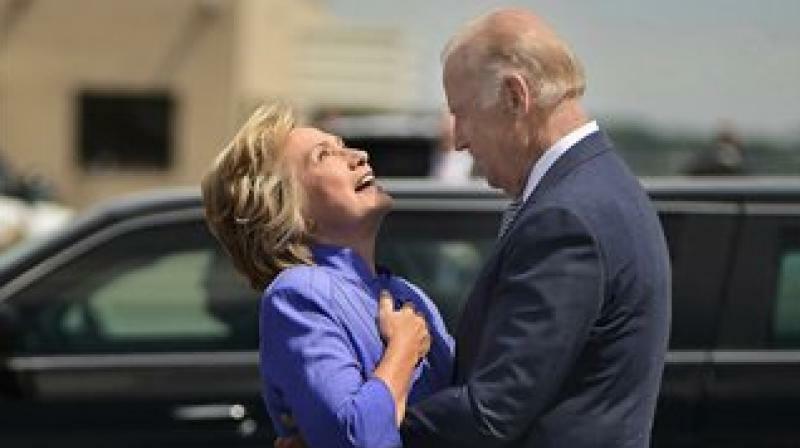 In the video, Clinton pats Biden on the arm, perhaps a cue for him to let her free, but he continued to hold her by the waist. They finally parted and posed for the cameras before leaving in the same limo. Hillary was in Scranton for fundraising, even though it's not a traditional stop for Democratic candidates. Despite that, Hillary has made several visits to the working class town of Pennsylvania which is not known for donating much. She campaigned along with Biden and the the camaraderie between the two was quite visible. Hillary has managed to raise millions of dollars from the once industrial town during her visits.